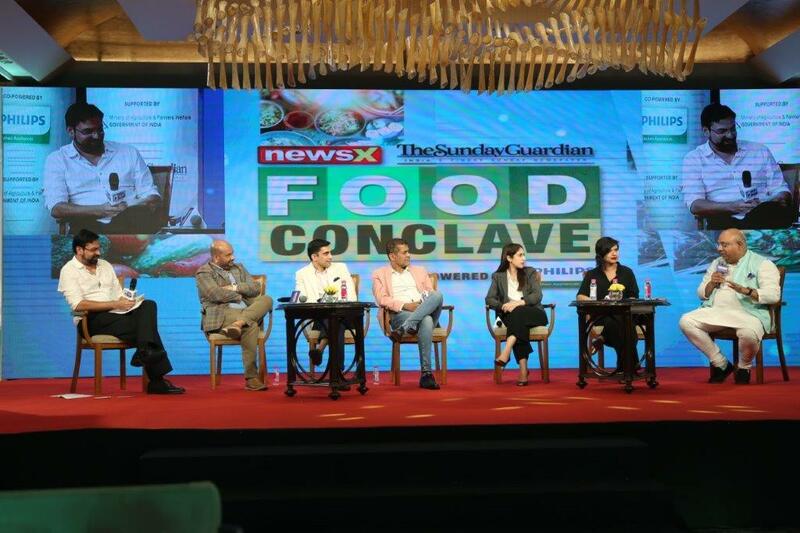 With festive season round the corner, iTV network organized the first ever NewsX-The Sunday Guardian Food Conclave to honor India’s top Food Connoisseurs on October 26, 2018 at The Oberoi Hotel, New Delhi. During the NewsX-The Sunday Guardian Food Conclave, the inaugural session begins with “Kitchens of Kings & Queens” which was an amalgamation of royal cuisines of India, led by Royal Chefs – Kunwar Hemendra Singh of Bhainsrorgarh, Rajkumari Alka Rani Singh of Pratapgarh; Tikka Rani Shailja Katoch of Kangra- Lambagraon; Shradha Akka Nikam of Kolhapur. The Royal chef’s prepared exotic gastronomic delights like Khade Masale ka Maans and Maharashtrian style Stuffed Chicken. Another session “The Anywhere Anytime Food Generation” was in conversation with Shreya Soni, Founder, Delhi Secret SupperClub. There was an exclusive session “Singh is Queen” with Bollywood actor and model, Chitrangada Singh where she spoke about her successful journey in Bollywood so far, being an actor and a producer and how she manage her work-life balance. She also spoke on how she surpassed challenges she faced during different phases of her life. Chitrangada Singh was also felicitated with a special award for her movie Soorma. Additionally, there were session on “Culinary Tales from Northeast” which was led by Kusuma Juneja (founder, MOOD); Binita Chamling (founder, Nimtho), Tanisha Phanbuh (founder, Tribal Gourmet), Chuba Manen Longkumer (founder, Nagaland Kitchen) which was moderated by Chef Stephen (Lavaash); “Rising Restepreneurs: Recipe for Success” led by AD Singh (founder & MD, Olive Group of Restaurants), Rahul Singh (Beer Café founder and NRAI president), Ashish Kapoor (founder, Yo! China), Radhika Khandelwal (founder, Fig and Maple), Ms. Dildeep Kalra, (Director, Massive Restaurants, Farzi Café, Masala Library etc. ), Anurag Batra (Chairperson, Businessworld) which was moderated by Arjun Gupta (founder, The Piano Man); “Top Chefs: Food for Thought” led by Chef Hemant Oberoi (Veteran chef), Chef Manu Chandra, Chef Sabyasachi Gorai (Founder, Lavaash), Anahita Dhondy (SodabottleOpenerWala) moderated by Ruchira Hoon, bakery partner & chef, The Piano Man. “Kitchen Symphony: Live Cooking & Wine Demo” led by Nitin Tewari, Mixologist & Creative Head, Bar Tender where he educate audience on various innovative cocktails & mocktails. 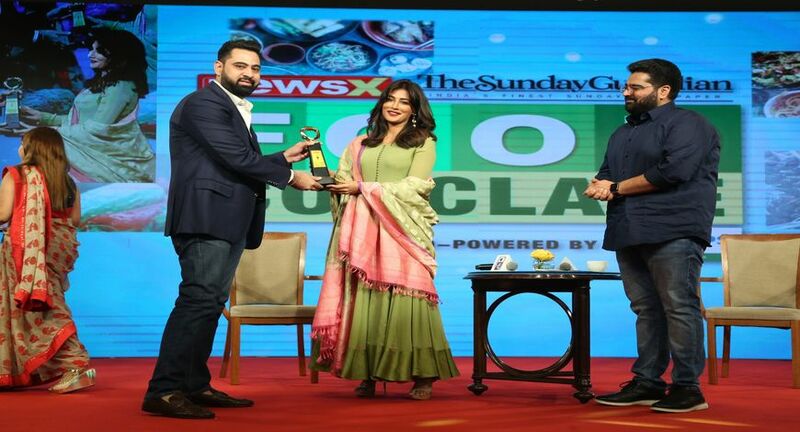 NewsX-The Sunday Guardian Food awards were conferred to – Best Foodpreneur of the year presented to Chef Sabyasachi Gorai; Best Emerging Restauranter of the year presented to Akshay Anand; Legendry Chef presented to Chef Hemant Oberoi; Best Contemporary Restauranter of the year presented to Dildeep Kalra; Lifetime Achievement Awardpresented to Shukhdev Bhardwaj.